The Russian Female Sniper features 360 degree custom printing designed by Landon Reimer. Female snipers were extensively deployed by Soviet forces in WWII and were among those credited with the highest kill counts of the war. 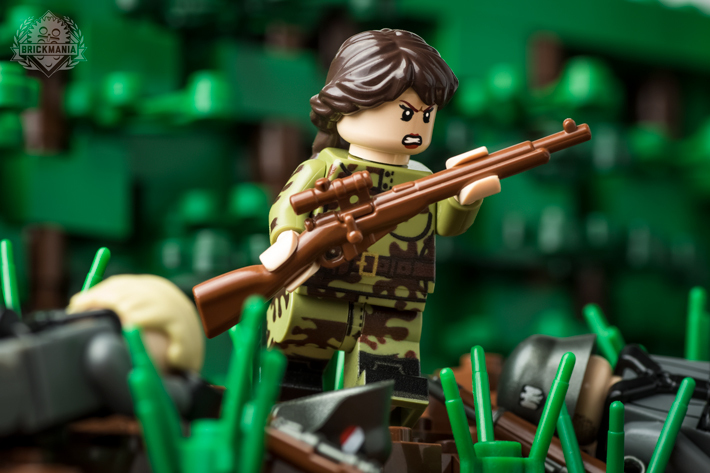 Equipped with the simple Mosin Nagant and disguised by their "Amoeba" pattern camouflage, they wreaked havoc upon German forces.